Swipe and Tap, Headshots and Magazine article photography. A quick turnaround was needed to catch March's edition of Niche magazine. Aaron of Swipe and Tap also needed head shots taken for their website and social media accounts. The portable studio was set up in their office so as little disruption as possible was caused, we quickly shot the portraits before moving on to the environmental photographs. Pleased as punch with a new fantastic testimonial from Business Guru Stuart Carter. I'll let his letter explain the situation, but as a side note it was brilliant working together, we came up with some wacky ideas, some worked really well... some needed throwing away immediately. At the end of the shoot Stuart has new images for his marketing campaigns. 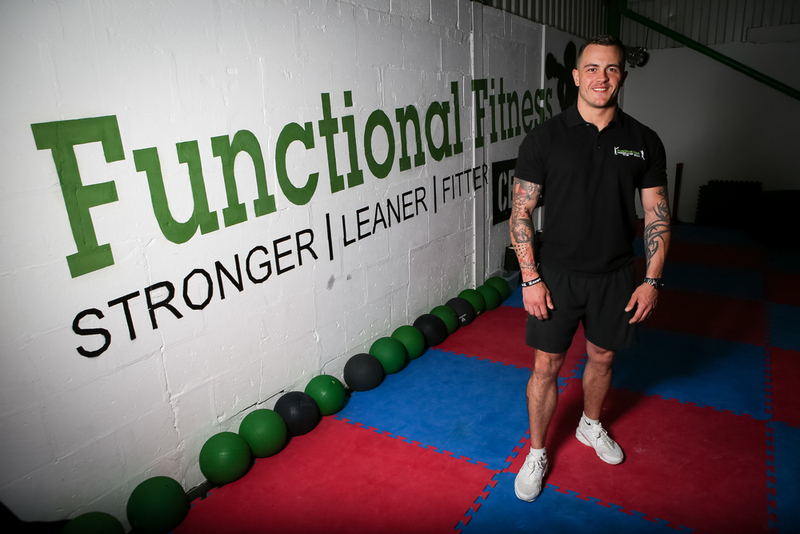 To celebrate an amazing Bronze place on her first competition after only a few months training Ambassador of the Functional Fitness Centre Leanne Walker and the founder Dean Maden wanted to make a PR splash! We had to work late in the evening after the gym had closed and all the members had left. Working at speed made the use of just one flash the way to go. Leanne was a natural model, is there no limit to her skills, by day a Rolls Royce Engineer. Dean too was a great subject, his natural warm personality shines through on these photos. Working the scene gave us a lot of cool images that will be used on advertising, blogs and newspaper releases. Simon Barrs of Joint Electrical Services needed a hasty photoshoot to meet the going to print deadline for NIche Magazine. We had to arrange the shoot amidst a very busy workday. Simon was really keen to showcase all the variety of work he undertakes by using the graphics on his work van. We also needed to show what a likeable, professional and trustworthy chap he is. A location was quickly agreed upon, the shoot lasted fifteen to twenty minutes, Simon rushed off to his next appointment. Images were edited given the thumbs up by Simon and then pinged over to the art department at the magazine. We easily made the deadline and the article ran. Stuntman Register Charity Boxing Night. This was one heck of a event, twelve bouts, that's twenty four stuntmen knocking seven bells out of each other..... All in aid of a charity which has helped a colleague injured whilst filming "Harry Potter"
This was my first ringside shoot... and it was very challenging, not least the lighting and stopping the action shutter speed combination. The fighters had all trained hard and they really went for it. I did however get duped by a couple who turned their fight into a bloody carnage using their stunt techniques.... head butts, throwing out of the ring... fighting with the oppositions trainers.... For live action it was totally convincing. The bouts were watched by many of the cast and crew of the Harry Potter films, I think everyone was moved by the commitment these Boxers had made in time effort and lastly pain endurance to support their mate. An auction also helped raise monies, with a pair of boxing gloves signed by Brad and Angelina raising a huge amount.... I will not mention here how much... to protect the innocent!